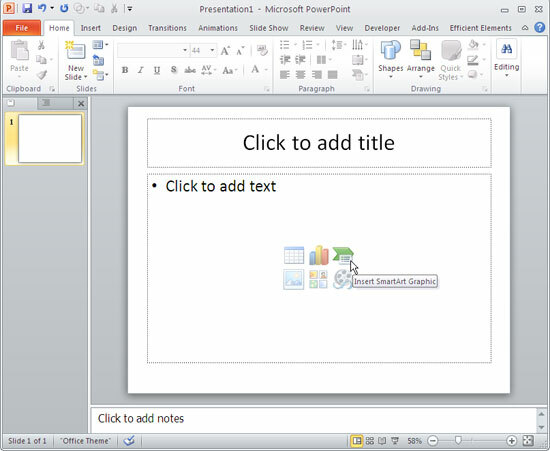 Excerpt/Capsule: Learn how to add an organization chart in PowerPoint 2010. Now that your slide layout has a content placeholder, click the Insert SmartArt Graphic button among the six buttons in the content placeholder that you can see in the slide within Figure 2. Alternatively, if you want to insert a SmartArt in an existing slide that has no content placeholder, just select the Insert tab of the Ribbon, and within the Illustration group, click the SmartArt button, as shown in Figure 3. 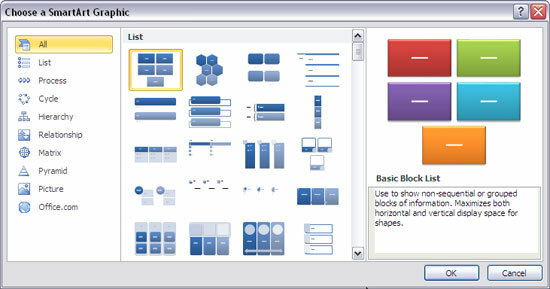 Within the left pane, click the Hierarchy option. 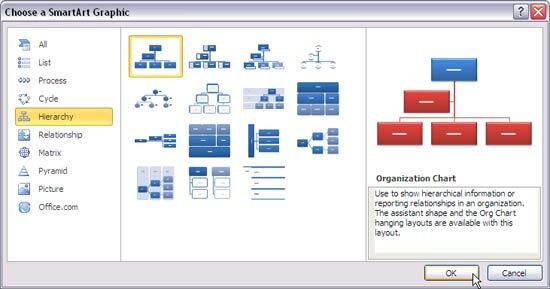 Then choose any of the organization chart layouts (the first few layouts in this category), as shown in Figure 5. Then click OK. 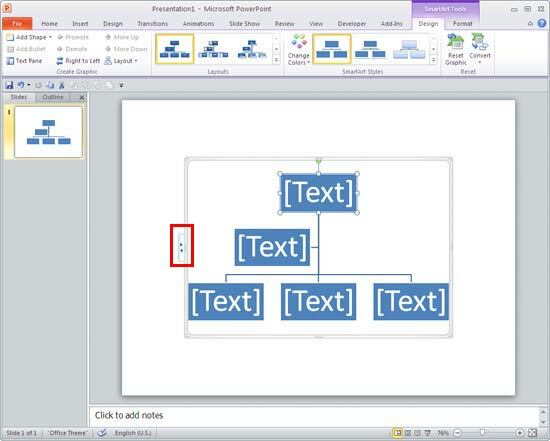 When the Organization Chart is placed on the slide, click the arrows located on the left side (highlighted in red in Figure 6 above) to open the text pane (see Figure 7). 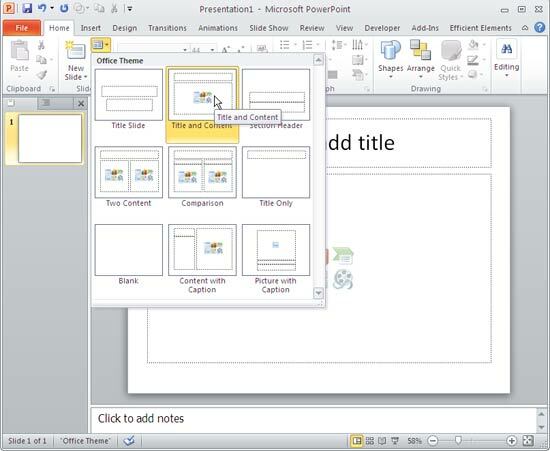 Save your presentation. Learn how to add more shapes to your organization chart in our Adding New Shapes to Existing Organization Charts in PowerPoint 2010 tutorial.